Catalog Page 14. Order 6" and 10" Bentley Bears. 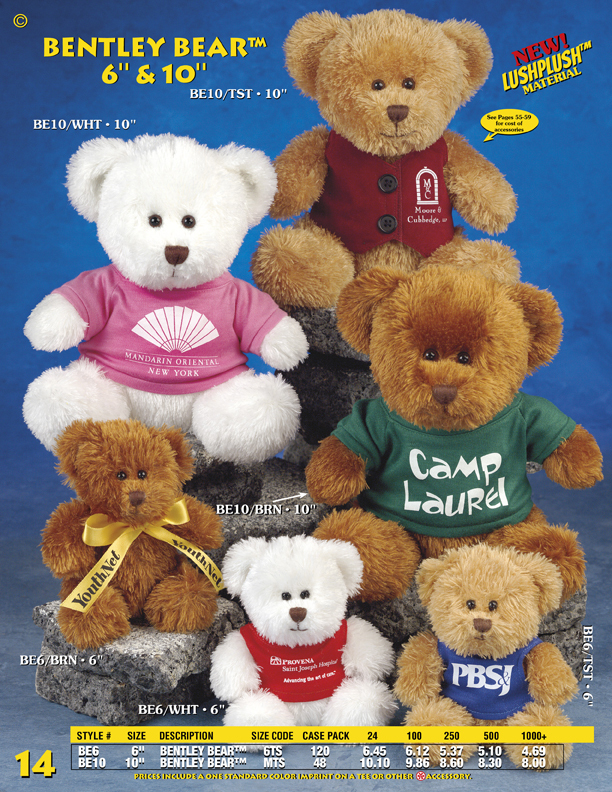 Soft plush toy bears with printed T-Shirts. Catalog Page 14. Order 6" and 10" Bentley Bears. Soft plush toy bears with printed T-Shirts. The Bentley bears are available in white, beige or brown colors. The pricing above includes the t-shirt with a one-color logo. All artwork should be emailed in a high-resolution format. You can mix and match colors without additional charge. Our warehouse is located in New York. The lead-time for production is 1- 14 days.